Vision Direct is currently running a craft competition, for which you could win Amazon vouchers. The competition is to create and decorate Christmas trees, from templates that can be found on their website. The idea is to cut out the tree templates from Vision Direct and trace around these on to a box. 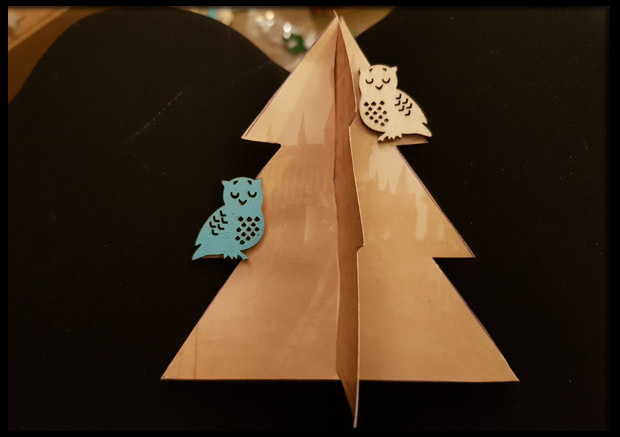 Once the trees are drawn on the cardboard, cut them out and with a slit at the top of one tree and a slit at the bottom of the second tree, these two halves can be fitted in together nicely to make a 3D standing Christmas Tree. I decided to use various scrapbook cards that I had rather than a cardboard box. 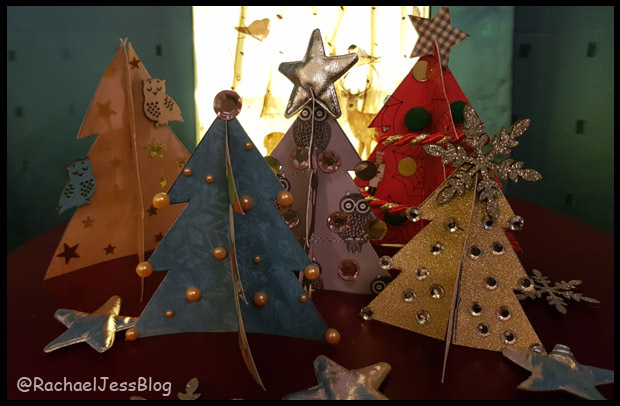 I thought I'd make the actual tree the design rather than the decorations on the tree, that being said, it didn't stop us going crazy with our stickers and glue to add a little extra sparkle to these mini trees. The decorations are where you can free your creative spirit. If you've cut the trees out on cardboard you can draw the tree and decorations directly on the board. 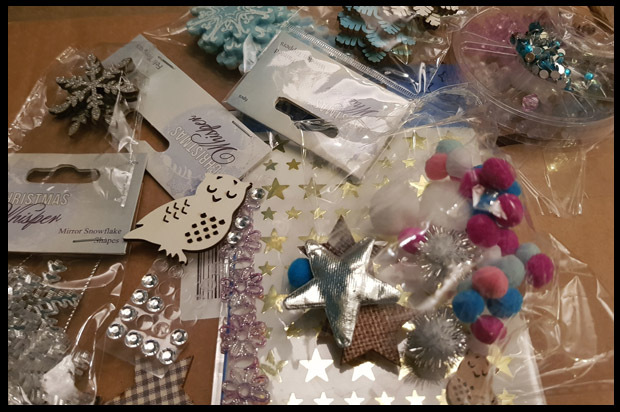 You could paint the tree then paint decorations on, glue mini pompoms on the tree or my favourite was adding gems and sticker stars. This is a great little craft and I've got my trees sitting in front of my forest scene lamp, a perfect addition to my side table this Christmas. 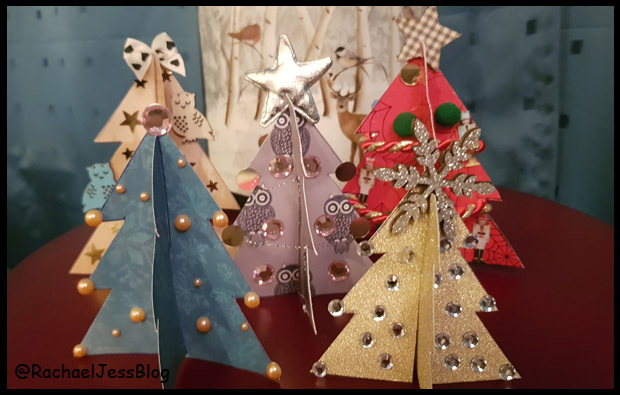 If you like the idea of making these crafts then why not enter Vision Direct's competition to win yourself Amazon vouchers. 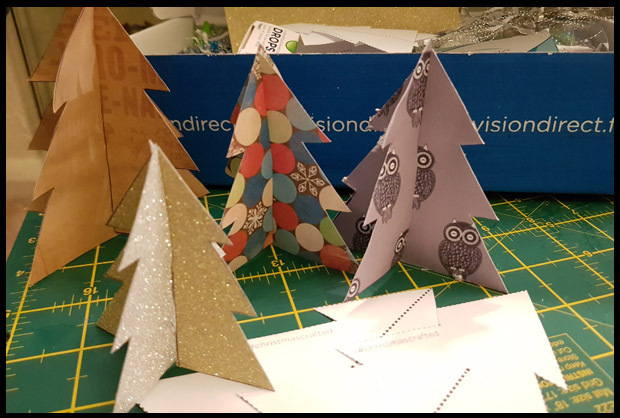 You have until Sunday 17th December 2017 to create and decorate your tree then send your photos over to Vision Direct either via Facebook, Instagram or Twitter. Full details can be found here on their blog.